Marine scientist Ivor Van Heerden, another former LSU prof who's working for a spill response contractor, says "there's just no data to suggest this is an environmental disaster. 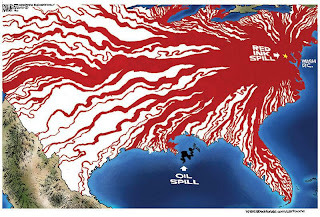 I have no interest in making BP look good — I think they lied about the size of the spill — but we're not seeing catastrophic impacts," says Van Heerden, who, like just about everyone else working in the Gulf these days, is being paid out of BP's spill response funds. "There's a lot of hype, but no evidence to justify it." 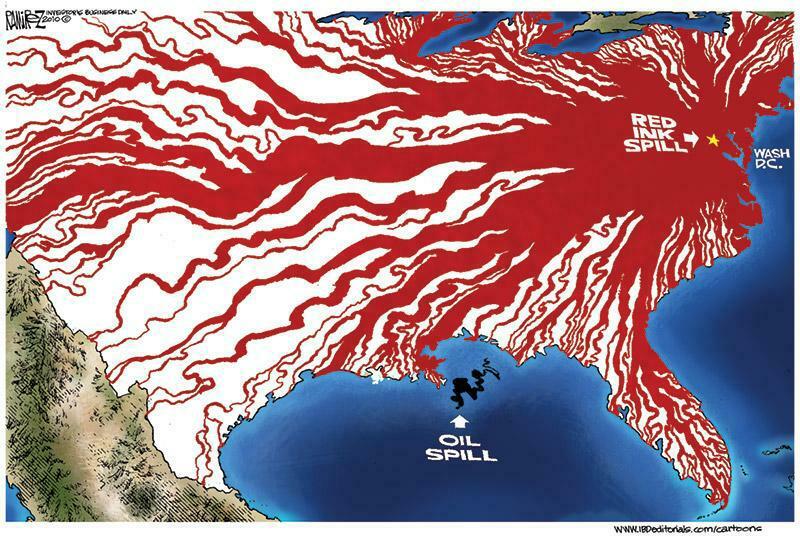 As the following cartoon illustrates, there is evidence to justify labeling another event a catastrophe.